Home Opinion Bernal, And Father Gallego? Some weeks back there ran a great rumor about Father Héctor Gallego, who, as we should know, was forcibly disappeared by the military dictatorship in 1971. It is known that something happened to the remains numbered 724, but due to the head of the Instituto de Medicina Legal having rendered no statements about them, the families of the victims of the dictatorship suffered in addition to the pain of their loved ones’ disappearances, the pain of governmental indolence in addressing that. Thus we saw in the case of Marlene Mendizábal, the disappeared teenager whose remains have now been conclusively identified, that the test results went undisclosed for months, prolonging the pain of the family that suffered the uncertainty since the 1970s, with the dictatorship having protected the murderer because he was a soldier’s nephew. With the Father Gallego case something similar and ever more serious is happening. Since 1999, when human remains were found in a clandestine tomb a the Pumas Barracks in Tocumen nearly nobody has doubted the identity of Father Gallego due to mundane indicators – like a coin and some articles of clothing found in the grave – were identified as belonging to the priest. But the new authorities took it upon themselves to disappear the priest a second time, this time with the help of a laboratory that contaminated the evidence. A test had to be carried out with private effort and funding so that at least the first identification of a disappeared person of the dictatorship, which was Heliodoro Portugal, could be achieved. There is no doubt about his identity, but there is doubt about what the authorities did to prevent the identity of Father Gallego from being discovered. Thus very few people continue to claim this until a complete review has been done. Over the years people like the late Father Fernando Guardia insisted on a review of everything that happened in the Tocumen excavations, in order to find the priest, but the medical examiners have only evaded the question. 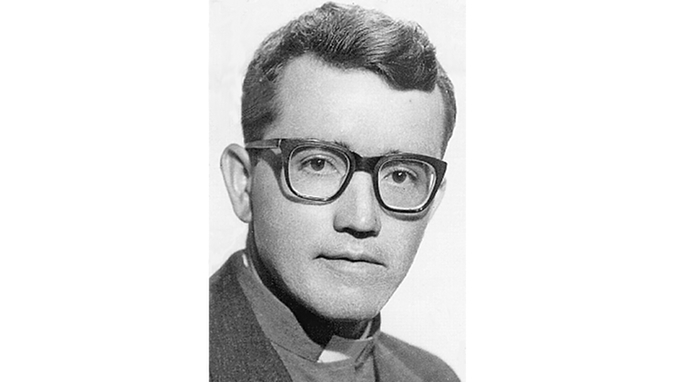 [Editor’s note: Father Héctor Gallego, the Colombian-born parish priest in Santa Fe de Veraguas, was last seen alive by persons other than military or government personnel in the military custody when he was arrested by soldiers in 1971. Manuel Antonio Noriega was in charge of the G2 unit that took Gallego away, and according to his dying declarations – which tended to be dubious and self-serving – Gallego died from injuries inflicted in a beating by a civilian informer who helped the soldiers arrest the priest. Identification of the remains would assist in an investigation as to the cause of death, which might after all these decades lead to new charges, as there is no statute of limitations for murder in Panama. Of more social and religious importance, there are a lot of Catholics, in particular the mostly aging, poor and rural members of the congregation he served, who would like to see Gallego declared a saint. But the Catholic Church will only start that process if the body of the person to be sanctified is found.